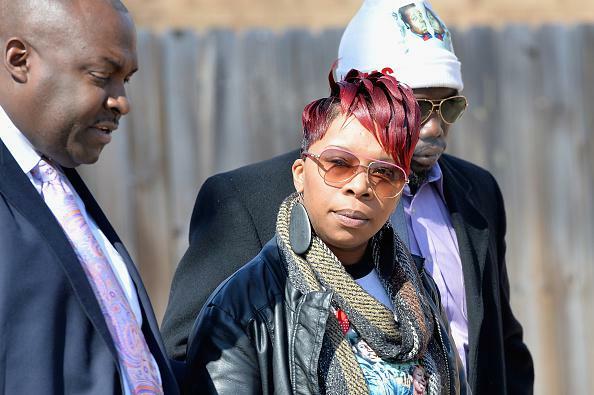 Michael Brown family civil lawsuit: Darren Wilson, Ferguson implicated. Lesley McSpadden, Michael Brown’s mother. The Associated Press reports that the family of Michael Brown, who was killed by police officer Darren Wilson in Ferguson, Missouri, in August 2014, will file a wrongful-death lawsuit against Wilson and the city of Ferguson. The announcement comes soon after the release of a federal Department of Justice report that cataloged extensive evidence of racially biased behavior by Ferguson police officers and municipal employees—but specifically found that Wilson’s account of his encounter with Brown was “credible.” The DOJ will not attempt to prosecute Wilson in federal court for violating Brown’s civil rights, and a St. Louis County grand jury chose in November not to indict the officer at the local level. BuzzFeed’s Joel Anderson discussed the feds’ characterization of Brown’s shooting in a piece on Wednesday, writing that authorities found more support for Wilson’s account than for the testimony of Brown’s friend Dorian Johnson, whose told the media soon after the incident that Brown died while trying to surrender after Wilson initiated a confrontation. Of the 40 witnesses listed in the report, the Justice Department divided them into three groups based on “the nature and credibility of their accounts to a jury.” At least seven provided consistent and “corroborative” statements suggesting Wilson acted in self-defense.